I've been waiting a long while to turn my lens on these boys and their parents. Pace family photographer, Natalie Zepp. Kelley & Skyler originally contacted me for a maternity and birth session. Knowing they were likely to deliver their twins earlier than their February due date, we scheduled the maternity session for the weekend after Thanksgiving last year. We had a stellar beach lifestyle session planned, and I had found the most perfect location. But on that Tuesday before, Kelley texted me to say she was on bedrest. No problem. We just amended our plans to do a little lifestyle session at home, moving her as little as possible. Then on Wednesday, more bad news. Kelley was admitted to the hospital. Asher and Cayson were born on Thanksgiving day and spent the next few months in the NICU, fighting for their lives. Thankfully, A & C are both healthy, thriving, and home now! 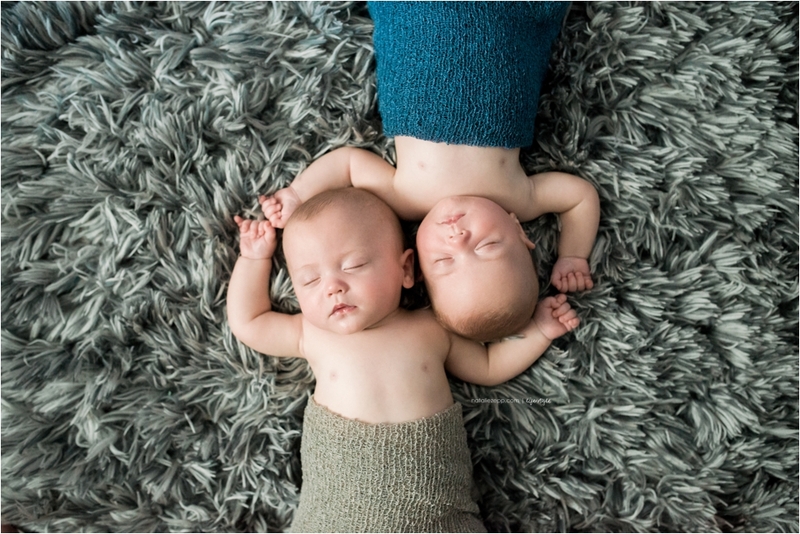 I was finally able to meet these adorable babies on Mother's Day weekend (apparently they have a thing for holiday weekends) for a newborn six month lifestyle session. We had quite a comical afternoon trying to keep them both happy at the same time. As soon as one stopped crying, the other started. When one fell asleep, the other woke up. Eventually we got them both to sleep...for approximately 3 minutes. Thanks to Kelley & Skyler for sharing your babies with me for a day. Everyone be sure to leave a comment. Fifty comments gets this sweet family a FREE 8x10 mounted print (a $40 value).